b. 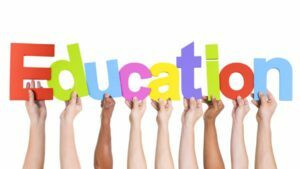 To meet the needs of all pupils who have special educational needs, by offering continual and appropriate forms of educational provision by the most efficient use of all available resources. In this we are also mindful of the needs of gifted students. c. To adopt a whole-school approach in educating pupils with learning difficulties, wherever possible, alongside their peers within the mainstream curriculum after giving due consideration to the wishes of the student, their parents and the recommendations of relevant professionals . d. To ensure that there is an appropriate system of identification and ongoing assessment of students with special educational needs by the SEN Team and subject teachers. e. To enable pupils with learning difficulties to acquire proficiency in literacy and numeracy skills as well as basic learning and study skills to enable them to fully participate in as complete an educational experience as is possible. f. To involve all stakeholders in the identification, assessment and delivery of support and to strive for close co-operation between all concerned. The SEN staff recognises that students have different learning styles, strengths and needs and endeavours to nurture self confidence conscious of kinesthetic, auditory, sensory, linguistic, visual and interpersonal intelligences. Lessons are conducted in a secure, supportive and disciplined environment. Students and staff interact in a manner that demonstrates mutual respect. The SEN Team believes that learning takes place most effectively in the context of a caring relationship and that good teacher/pupil relationships foster trust and promote self reliance and initiative in the student. Self esteem is fostered through participation in activities outside the classroom: fund-raising, organization of school based events –talent competitions/magazine production. SEN within the school mainly co-ordinated by the SEN team in conjunction with a number of key staff members whose roles are outlined below. The Special Needs Team comprises the Deputy Principal with responsibility for Special Educational Needs (Ms Quane), the SEN Co-Ordinator, five SEN teachers and Special Needs Assistants. Each SEN teacher takes responsibility for a year group: this entails being fully aware of every SEN student in a year group and thus being the key SEN contact person in relation to students in that year. Teachers, Year Heads, Management, parents and other relevant agencies are directed to this person to deal with reports, referrals, exam provisions, concessions etc. The Team works closely with the Principal, Deputy Principals, NEPS, Visiting Teachers and parents, in relation to in-house assessments, referrals for specialist assessments and general queries. This dialogue begins on Admissions day, when parents are asked to bring any Educational Assessments and discuss the student‟s needs with the members of the SEN Department who attend that meeting. On the same day, all incoming first year students are given a Standardised Reasoning Test (verbal and numerical). The results allow for the identification of students who may have learning needs and who have not been identified by their parents or in Primary school. Members of the SEN Department are then in a position to contact the feeder National Schools and the parents for information. Based on this identification process, school management then requests the DES to provide resources such as special needs assistants, specialised equipment, furniture, adequate accommodation, transport etc. so as to enable the school to discharge its duty adequately.